MMDS is an industry acronym that stands for“Microwave Multi-channel Distribution Systems”. It is a technology developed to broadcast multi-channel television to a subscriber base within range of the transmitter tower. Each subscriber receives the TV signals through a low-cost antenna and decodes the signals with a Set-Top Box. MMDS is a wireless alternative to Cable Television, providing a similar service (multichannel TV) , and for that reason it is also referred to as “Wireless Cable”. MMDS was originally developed to broadcast 31 analog TV channels over a 186 MHz wide frequency band from 2,500 to 2,686 MHz, but although there are still some legacy analog systems, all new systems today are digital. 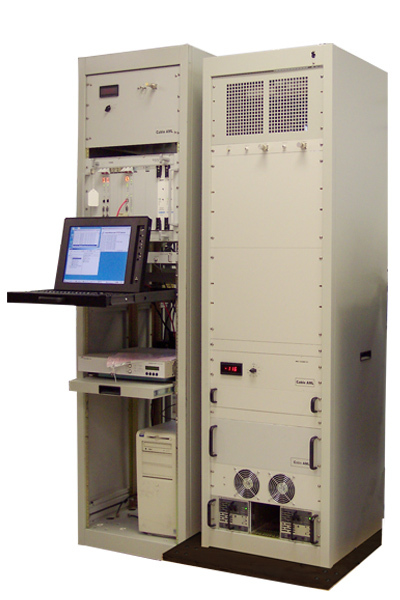 Most of the MMDS systems delivered by Cable AML are made for operation at the standard MMDS frequencies in the 2,500 to 2,700 MHz band, but some systems have been delivered at other frequencies such as 2.3, 12, 23 and 28 GHz bands. Modern digital MMDS systems can broadcast hundreds of TV programs and can be integrated with wireless Internet systems to provide both TV video and wireless Internet simultaneously. 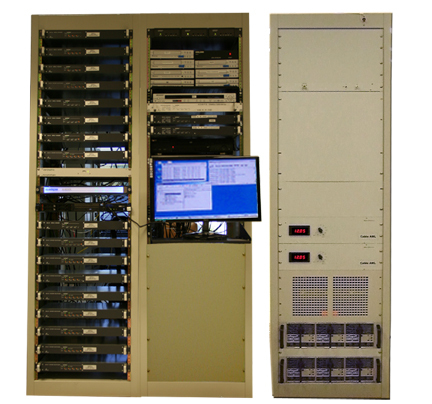 Cable AML produces integrated MMDS system solutions. Cable AML pioneered the use of broadband transmitters and repeaters and has delivered and installed dozens of systems around the world since 1992. Cable AML Broadband MMDS systems avoid proprietary solutions and only include hardware and software meeting all international standards (MPEG-2, DVB-C, Simulcrypt) with assured multi-vendor availability of key subscriber equipment. Cable AML Broadband MMDS systems are designed in modular elements, making it easy to increase the number of TV programs transmitted, easy to upgrade to Wireless Internet, and easy to expand the reach of any existing system. Cable AML Broadband MMDS systems can be commissioned and put to work in very little time, increasing payback and enhancing cash flow. Cable AML Broadband MMDS systems can be configured to accommodate unique spectrum allocations within licensed band ranges that fall outside the standard MMDS frequencies of 2.3 – 2.7 GHz. Cable AML provides turn-key systems if requested by the customer, including hands-on customer training and long-term operational and maintenance support. Cable AML’s Broadband MMDS product line features over 30 different models — the broadest selection of power output levels (from 10W to 2000W) available in the market.